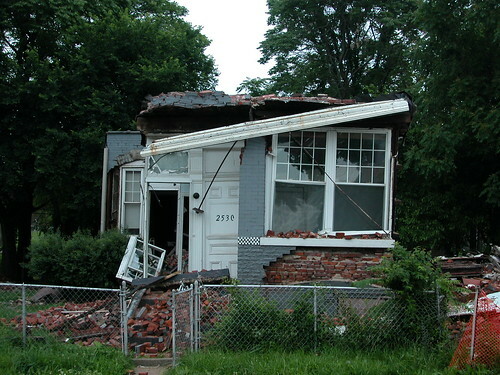 In 2009, brick thieves destroyed the house at 4207 W. Evans Avenue in the Greater Ville. These bricks were not stolen. Stolen and unstolen bricks alike end up on pallets like this in brick yards, before they are shipped out of the city forever. Brick theft is a symptom of the maladies of abandonment and unemployment. The houses pillaged by thieves that present ragged half-walls and sagging, unsupported interiors are architectural signs of social distress. First, the buildings destroyed by thieves are (almost) never occupied. Thieves strike vacant buildings whose owners have long since abandoned the properties, or who do no not care about the buildings that sit on their land. The buildings destroyed look like they have no caretakers, and are easy targets. Secondly, the theft occurs largely in north St. Louis neighborhoods where there is high unemployment and where demolition often is the primary development activity. Remaining residents have little wealth and little chance of gaining it, save for picking apart the commodity left in their midst. Many thieves are out of work men who have spent time honestly working to build new buildings, rehab old ones or demolish others. Preservation Research Office and our blog have chronicled brick theft since 2005, but the phenomenon goes back to the 1970s. As soon as large parts of neighborhoods were left unwanted and untended, thieves emerged to take apart brick walls to sell the valuable bricks for cash. Once, the bricks were recycled into local construction projects, but the salvaged bricks were never sorted for hard outer face brick and soft inner brick. The soft brick cannot survive the exposure of a St. Louis winter. Since the late 1980s, then, most St. Louis brick stolen or legitimately salvaged has been shipped to states where new houses rise in waves amid warm temperatures. Florida, Mississippi, Texas and Arizona have subdivisions full of new houses adorned with the stock of JeffVanderLou or Old North. Brick thieves destroyed the house at 2530 Hebert Street, purchased by McKee-controlled Union Martin LLC in 2007. Brick theft rose dramatically after 2003 when developer Paul J. McKee, Jr. began purchasing hundreds of parcels — including over 150 historic brick buildings — using shell companies. McKee targeted Old North, St. Louis Place and JeffVanderLou and bought aggressively, leading to entire blocks going vacant. In the wake of the developer’s purchase came the thieves, whose destruction reached new extremes with arson and other methods used to speed along the illicit recovery. 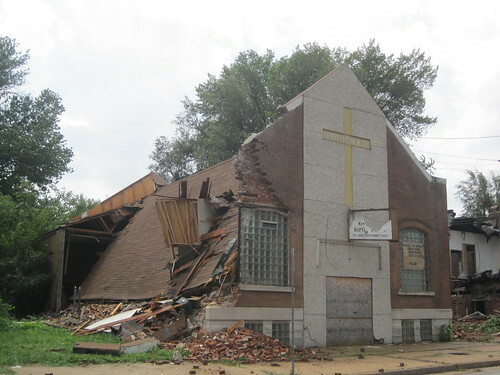 In 2009, thieves had destroyed the historic North Galilee Missionary Baptist Church building in JeffVanderLou. One of the earliest media outlets to cover brick theft in recent years was Antonio French’s Pub Def. On August 21, 2007, Pub Def posted the following video in which Alderman Sam Moore (D-4th) shows brick theft damage in The Ville and discusses the methods used by the thieves. All posts on brick theft. “St. 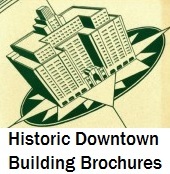 Louis Brick Thieves” – This Robert Meyerowitz article appeared in the April 2011 issue of St. Louis Magazine and profiles the efforts of Preservation Research Office Director Michael Allen and Alderman Sam Moore to stop the plague of brick theft in north St. Louis. Thieves Cart Off St. Louis Bricks – Malcolm Gay’s 2010 New York Times article again brought the issue to national attention. 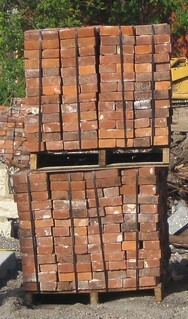 Brick By Chance And Fortune – Bill Streeter’s 2011 film contains a long section on brick theft with a before and after photographic collage that acts as an effective call to action. 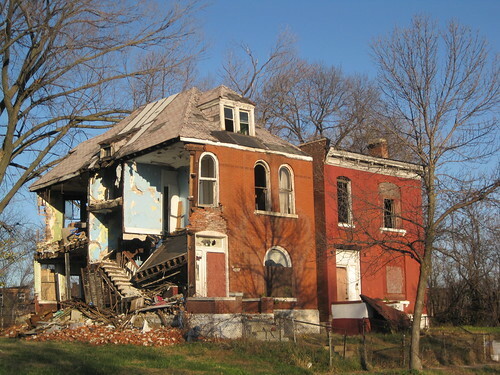 My goodness, but St. Louis is beginning to look just like Detroit. It’s an outrage that people have so little respect for our heritage. Who are these brick thieves? Why are they not behind bars? Does anybody but a few of us who love good architechture care anyway? Your website and writing style are excellent, as I discovered you by accident this evening. Keep writing and trying to make a difference, but the tsunami of crime and decay seem overwhelming in St. Louis. Who indeed are the brick thieves. You know as well as I do. Its as close to working as they’ll ever get.